After the wedding he took her to his beautiful home. “Step in on your right foot,” he told her at the threshold. She wondered at the big parrot cage dangling in the drawing room. 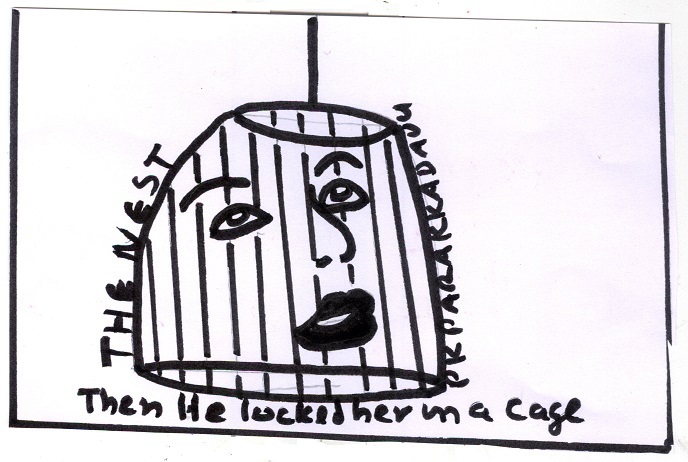 Then he locked her in the cage. After selling out all the rivers, the Ministers wondered – what could be next? How about leasing out next year’s rain to the United States? Soon a white man came to look at clouds and took a year’s rain on lease. I gave her a wreath. I gave her a shroud. They were celebrating the 40th Independence Day. The leader was speaking at the town hall. His followers sat listening to his speech. All of a sudden, an old man appeared. He didn’t have his toothless smile. The half-naked man rushed to the stage with his walking stick. Holding up the speech for a while, the leader came down from the stage. The leader and his followers stopped the old man. “Stay there,” they shouted at the old man. Somebody snatched away the old man’s walking stick, while another grabbed his spectacles. A few bore him away while somebody cupped a hand on his mouth. A smile spread on the mustachioed face of the leader. Leader and followers walked away. At the park, the crowd shouted “Jai” to the leader and Bharatmatha. They enshrined the old man at a specially prepared corner of the park. Maybe it was the weight of the garland the leader hung around his neck, or the weight of his freedom. But the head of the statue bowed. 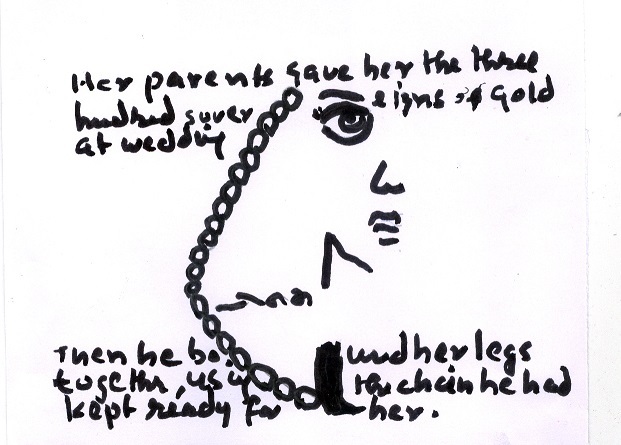 Her parents gave her the three hundred sovereigns of gold at the wedding. Her hands and neck were covered with ornaments. But they forgot to give her one thing. “Don’t worry,” he told her. Then he bound her legs together, using the chain he had kept ready for her. These micro stories were also published in the collection Through the Mini Looking Glass, translated by V.K. Sreelesh, Lead Books, Kozhikode, 2013.